I like you on facebook! Thanks again! Wow! Thanks for another chance at winning a GC! I would love to win this! Thanks for all you do!! already “liked” totallytarget on fb! This was my favorite gift card too!!! The mouse was sooo cool! Oh my gosh, I would love to win this! Soooo cute! thanks for your giveaways. god bless. oh my gosh that is too cute! love targets giveaways-just wish I would win one!!! I like ‘ Totally Target’ on Facebook. I already like (love) Totally Target. I would love a chance to win thank you! and I like you on Facebook. super cute! would love to have! I love your site…follow it regularly!! What a cool gift card! Hope to win! 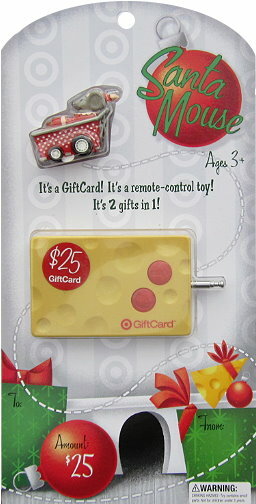 I want the gift card and most of all the toy!! this would be great to win – thanks for the opportunity! I desire $25 Target gift card. Yay I love your giveaways!